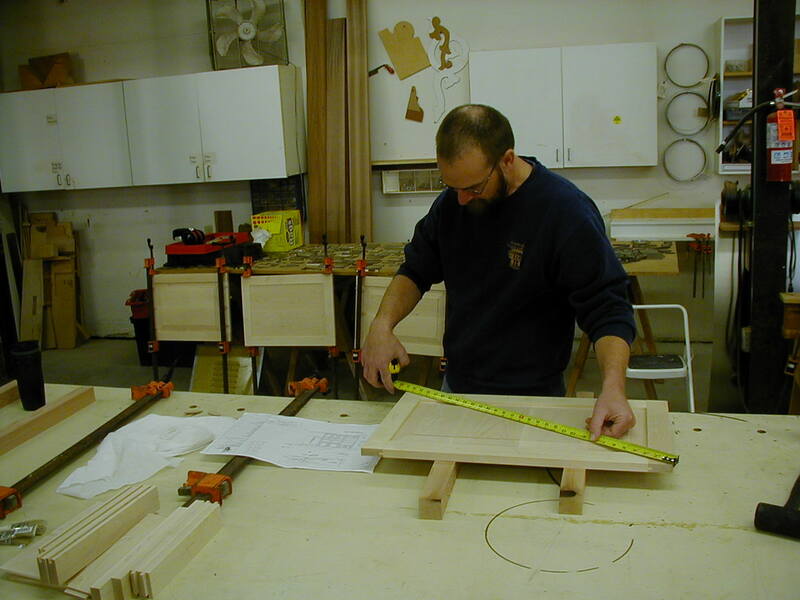 For decades, General Woodcraft has developed an outstanding reputation for creating beautiful custom woodworking projects to meet the needs of our discerning clients. 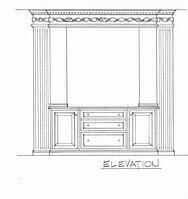 We excel at a wide range of custom woodworking projects including; custom mouldings, architectural millwork, wood countertops, custom mantels, wooden boat parts and pieces and many more. Contact us for any of your custom woodworking needs. No matter what type of moulding profile you are looking for, to help create your finished project design, General Woodcraft can create a moulding pattern that's just right for you. If you don't find the perfect moulding from one of our many standard moulding patterns to work just right for your project, we can create a custom moulding pattern specifically for your unique project. Choose form a wide variety of hardwood species such as Ash, Mahogany, Cherry, Oak, Birch, Maple and more to create beautiful mouldings that you can cherish for years. 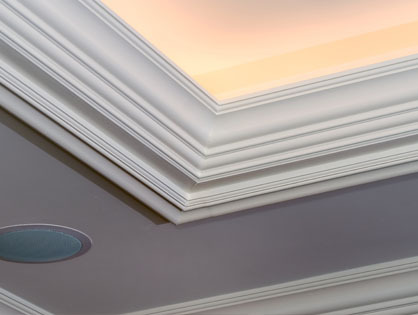 Learn more about our custom mouldings. 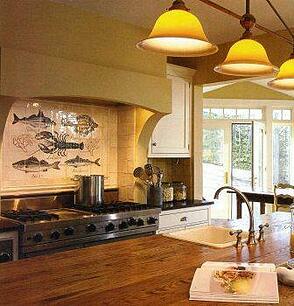 General Woodcraft has decades of experience crafting custom wood countertops in a wide variety of wood species. Whatever size, shape, species and profile of wood countertop you desire for your project, General Woodcraft can help you on your way. Whether you are looking for a butcher block, a wood bar top, table top or a wood countertop for anywhere else in your home, office or boat, we can create a signature wood countertop just for you. Learn more about our custom wood countertops. 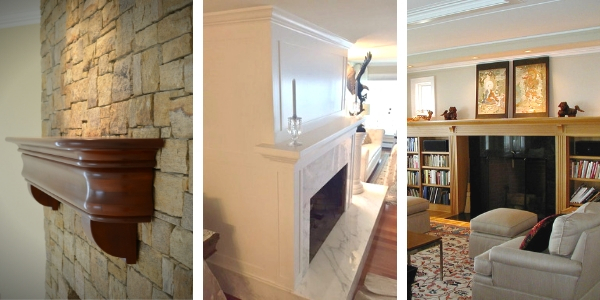 General Woodcraft has been creating custom mantels for discerning builders, architects and homeowners for generations. 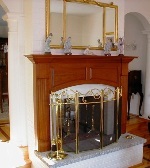 If you want your hearth or fireplace to make an exquisite statement, let us help you design and build a beautiful mantel to add elegance and warmth to your home. Choose wood species for your custom mantel from cherry, ash, oak, maple, birch, mahogany, walnut, lyptus, purpleheart, wenge, zebrawood and and more. If you need a specific cabinet that works perfectly for your individual needs, why not let General Woodcraft design and build a custom cabinet to complete your home or business. Gun cabinets, built-in bookcases, entertainment centers, china cabinets and more are available in any wood species, size, shape or design you can imagine. Whether you are replacing a transom, rub rail, decking or other wooden parts or pieces for your boat, yacht or ship, we can help you on your voyage. From teak, mahogany, butternut, boat cedar and more, we have the species and the ability to help recreate your boat, beautifully and functionally, one piece at a time. No matter what your project, no matter what your design, no matter what species of wood you plan for your project, we can help make your project dreams come to life. Contact us today for more information. Anything to do with milling of exterior high density hardwood species such Ipe, Cumaru, Garapa, Machiche or Santa Maria hardwoods. Custom Railing Profiles: We have approximately 60 profile router bits in stock- (charge labor and material only). Custom profiles can be made (charge material, labor and router bits to job).